Foreclosure, REO's or Bank Owned homes, are properties that have been foreclosed on and are now owned by a financial institution or mortgage investor. There are many foreclosures available in Bend and surrounding areas. View all of the Central Oregon foreclosure listings on the MLS below. These listings can be great deals, but not always. Just because it says Foreclosure, doesn't mean that the banks have priced the homes below market value. Please contact Sedonia Darling online or call (541) 749-0509. Would you like to be updated when new Central Oregon foreclosures hit the market? If so, please fill out the form below to receive a list of Central Oregon foreclosure listings matching your needs. As soon as I receive the form, I'll e-mail you all of the foreclosures matching your needs. You'll then be e-mailed new bank owned listings as they come on the market. Please be sure to specify whether you'd like to view homes in just one area, (like Bend, Redmond, Sunriver, or Sisters), or if you'd like to receive foreclosure properties in all of Central Oregon. 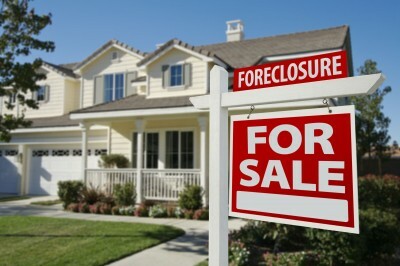 Also visit my Buying Foreclosure Tips page for information on the bank owned buying process. Visit my Bend Foreclosures page to search all of the bank owned homes available in Bend Oregon. (Check your Junk e-mail folder, sometimes these listings end up there until you add me to your safe list).